Blue’s ArtHouse just redesigned this website for C.J. 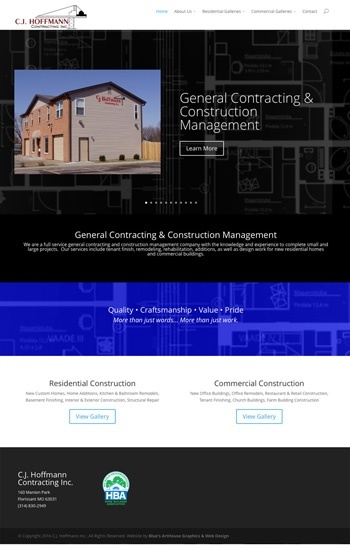 Hoffmann general contracting and construction management company in Florissant, Missouri. This classic custom WordPress website features sortable photo galleries.